Doxocopa laurentia has a wingspan reaching about 3.0 in. 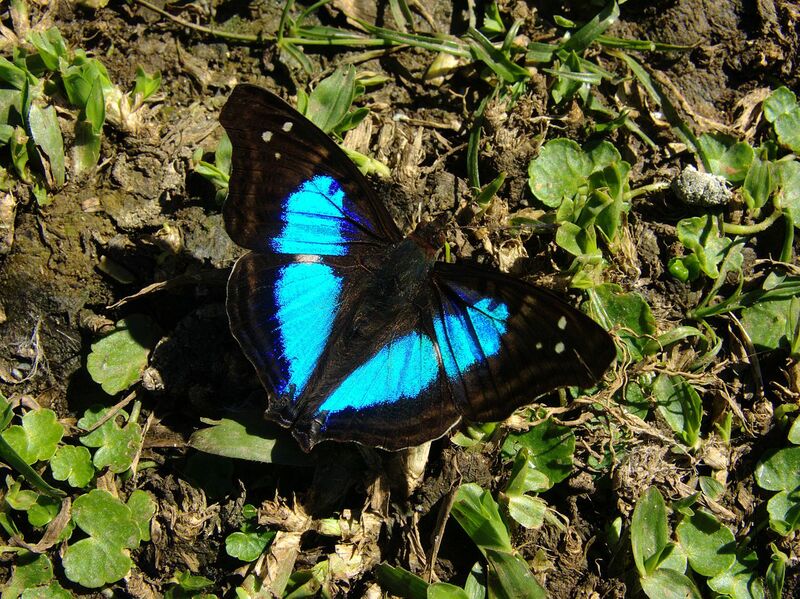 The upperside of the wings is brown, with a broad metallic blue central band in males, while in the females this band is usually white, with a broad orange patch on the top of the forewings. The undersides of the wings are yellowish or greyish, with black markings on the forewings.